Corporate events are times of staff to relax, interact and learn to work as a team. It is a great time out as a large corporate family and have fun away from the hustle and pressure in the office. Research has shown that these events significantly improve the worker morale, enhances teamwork and is a good way to retreat and create more synergies as a company. 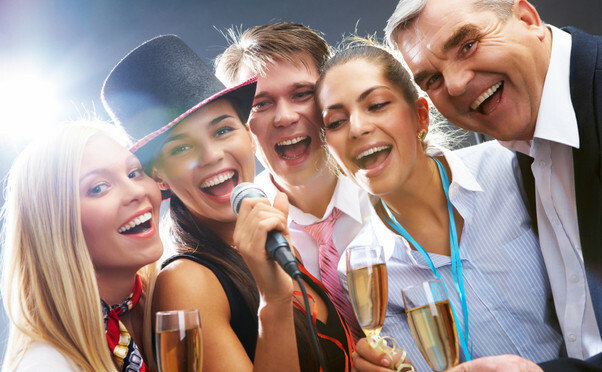 The success of the corporate event depends on the selection of activities that will pull everyone into them. Here are few ideas that you can implement and create a lasting impression in the minds of your staff. It is a game where staff are arranged in teams and given instructions to race around the city. They are also given route markers, many challenges and roadblocks in their bid to reach the finishing line. In the course of the game, the team gets to explore the city, solve clues together as a team while at the same time racing against the clock. The team uses smartphones and are guided through the tour routes through trivia questions and GPS markers. They record parts of the whole activity with videos and photos. It is an excellent chance to work together as a team while having fun. Teams enact a crime investigation scene and follow their detective skills to unlock mysteries and ‘solve a case’. The team receives a top secret crime dossier with all the background information on the case they are to work on. They are required to work together in following clues. The clues lead the team to various relevant locations. Each location gives a part of the necessary evidence to build their case. Finally, the team will hand over the evidence; have it checked to interpret the clues to find out who did the crime. A culinary learning experience has become a hot trend in corporate team building activities. Depending on the size of the groups, the events can be held in function centres, theatres, star rooms or suites. Teams are given the tasks of getting a concept, such as a cake design, discuss the concept and submit it before the clock starts counting. The judges then give the team a go ahead to start creating their cake. It is always fun to see teams come up outrageous and funny concepts and move on to actualize them. This challenge gives the team a chance to work together to solve challenges. The food or the cake can be shared amongst the team members or donated to the less needy in the society. This is an engaging game where teams are divided into “tribes” and given survivor style challenges with themed activities. Based on popular TV Survivor Series each tribe will have to solve their problems but no team will be voted out of the island. There are several challenges that the team can engage in. Each challenge tests a particular aspect of the company such as courage, teamwork, trust, leadership, endurance and creativity. After the end of each challenge, the host gives points to each tribe according to its performance. The winning team will be the team that accumulates the most points overall in the challenge. You can hold corporate events indoors and outdoors. You can have the challenges customized for the company such as redesigning the logo, exchange of roles and so forth. It is good to have such events now and then as they help the team together for bigger challenges.